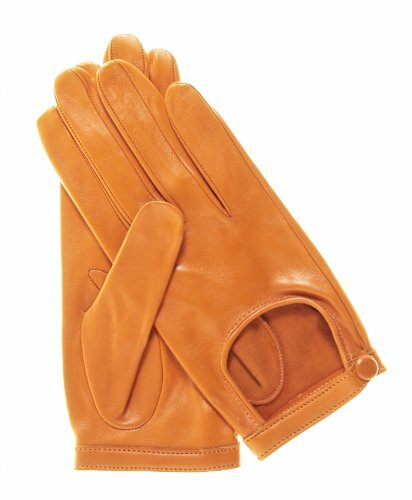 Simple and elegant, these open-backed Italian leather driving gloves for women add color and playfulness to spring and summer wear, whether you are riding a Vespa, behind the wheel of your sports car or just out for a walk. Made of the same super-soft Italian lambskin as the rest of our fine Fratelli Orsini gloves, their simplicity highlights the beauty of the design and the materials. Made in Italy by Fratelli Orsini. SIZING HINT: These gloves run true to size. If you have any questions about this product by Fratelli Orsini, contact us by completing and submitting the form below. If you are looking for a specif part number, please include it with your message.